Our state of the art banquet venue is located in the exclusive city of Weston, Florida and we have a guest capacity of over 350 to accommodate your closest friends, family or corporate partners. If you have a specific off-premise venue that you would prefer, Palm Caterers can cater your social or corporate event at any location of your choice. We are also available to plan and organize your event from start to finish with our “complete event service” division. 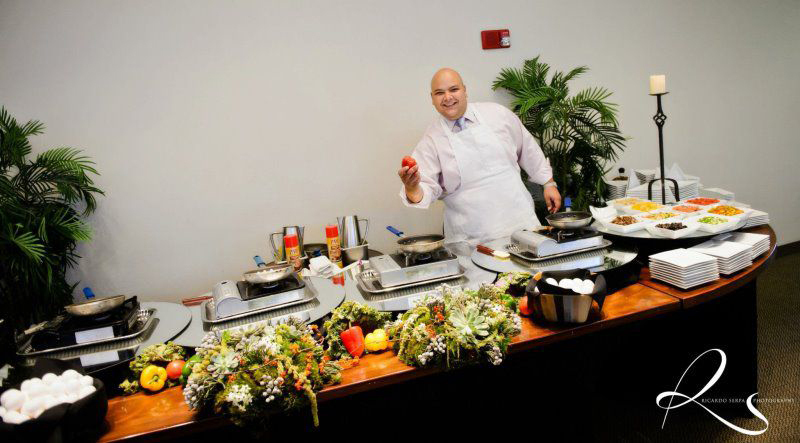 Our professional team of event planners and catering directors will transform your thoughts and ideas into a complete event and catering experience that will reflect your unique vision. We will work closely with you to select an appropriate venue space, create a unique menu and organize and hire the additional vendors that will be necessary to satisfy your floral, décor and entertainment visions. Copyright © 2016 Palm Caterers. All Rights Reserved.